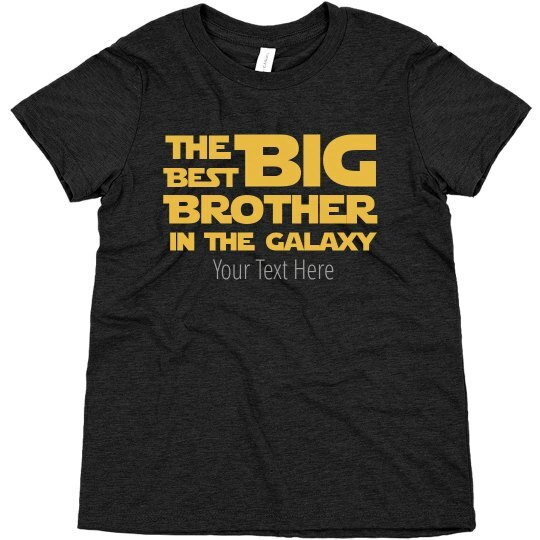 Make your little one feel like the best big brother in the galaxy with this futuristic themed design. You can personalize it just for him by adding your own text at the bottom. He will be ready for announcing the big news in family photoshoots and parties.